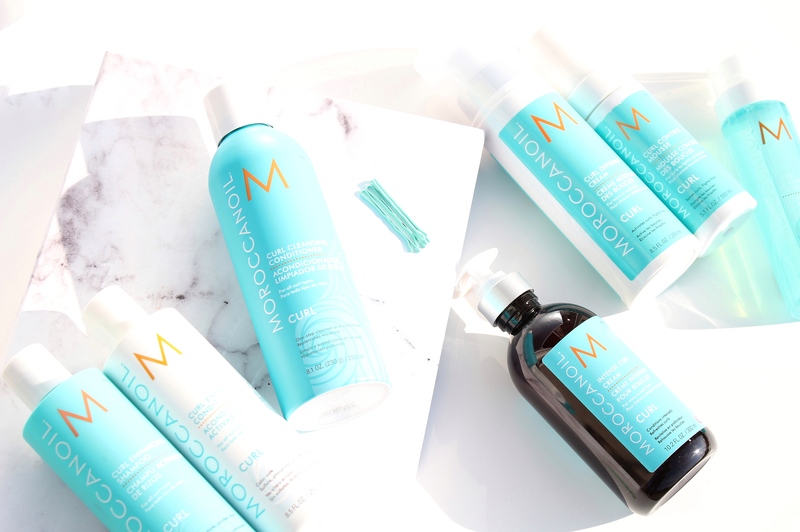 Moroccanoil® have been one of my favorite Hair Care brands from a while now, I have had used the Moroccan Oil Treatment in Original for many years, and I must include it offered my hair the most amazing shine and the protection I needed from the heating tools. 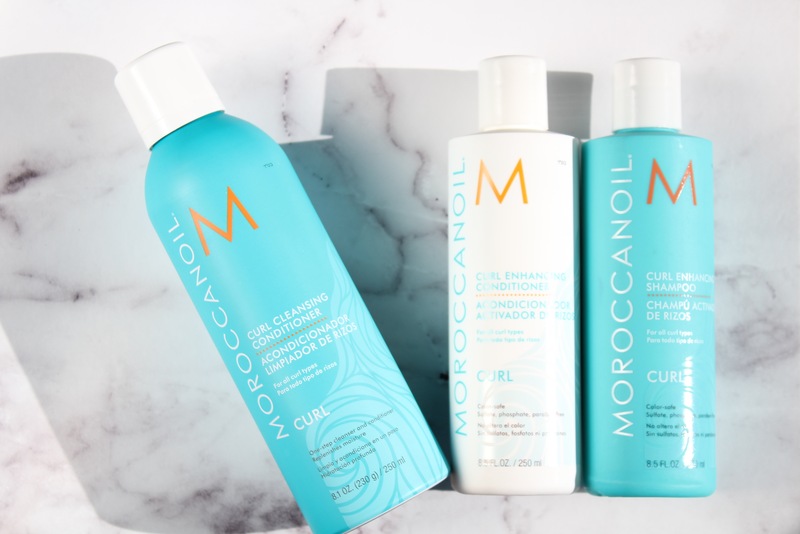 Recently Moroccanoil® have launch the Curl Collection which I was very happy from hearing the news and I’m sure if you’re some one with wavy or curly hair you will love the collection as much as I do. I personally have a hair with big curls or I should say wavy hair and I was thrilled to try out the new Curl Collection from Moroccanoil®. 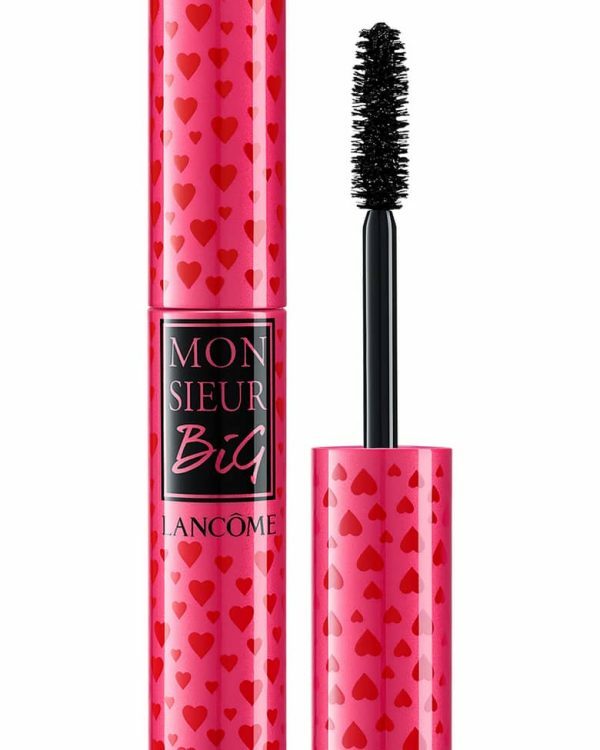 I have been using the products on daily basis for over two weeks now and I have been loving the whole collection. 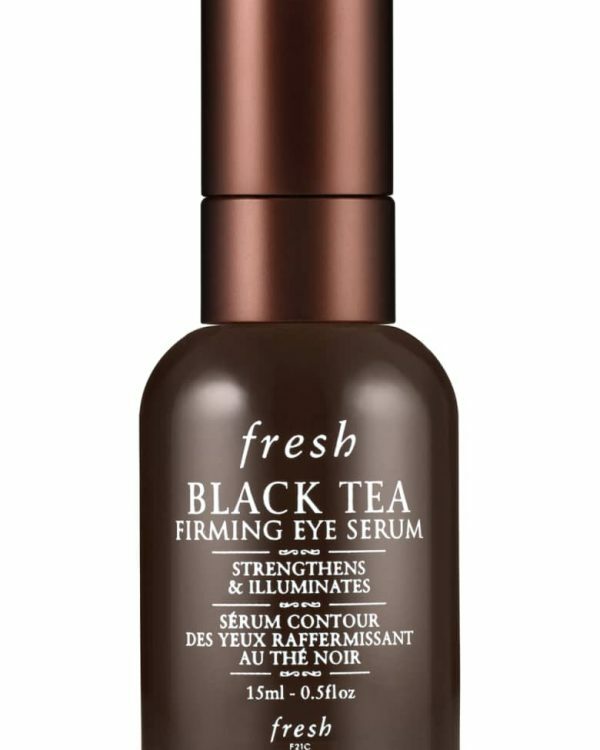 This collection carries a verity of products to cleanse, styling and refresh the curly hairs. Today I will be reviewing the Curl Enhancing Shampoo + Curl Enhancing Conditioner , Curl Cleansing Conditioner, Intense Curling Cream, Curl Refining Cream, Curl Control Mouse and Curl Re-energizing Spray. 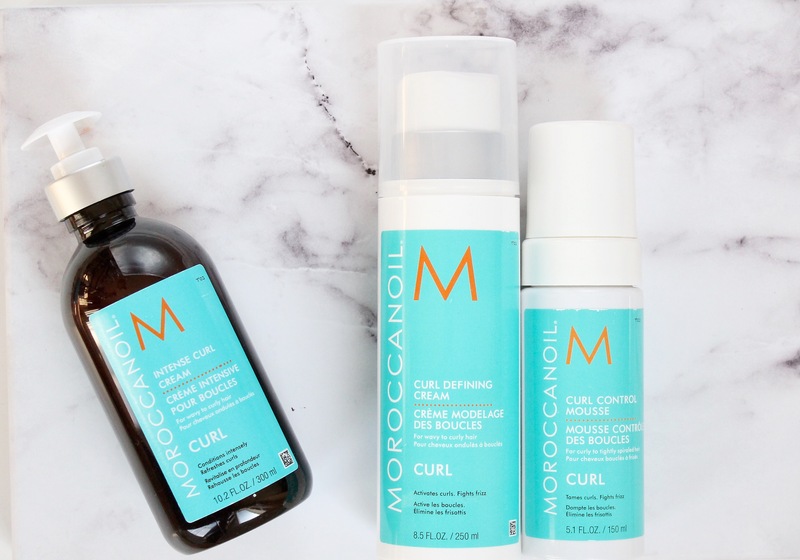 Up First the Moroccan Oil Curl Enhancing Shampoo + Curl Enhancing Conditioner ($29.00 +$30 each) respectively both are curl boosting infused with nourishing argan oil to restore elasticity, shine and manageability. I find it’s perfect for those with wavy or curly hair, since it noticeably softens and smooth’s the curls and adds on definition. I found both adds moisture to the hair which makes it free of frizz, I was very pleased with the result since I do have a very dry hair with lots of volume which I found it noticeably kept the hair moisturized but I am not sure about oily hair that’s some thing that you should experience personally. I loved how it added a richer texture to my hair and kept it down. If you really want to see some defined curls I would advise to brush your hair inside shower after applying the Curl Enhancing Conditioner with Detangling Comb and rains after word – towel dry gently and style it. this way you don’t disturb the curls by brushing them off after drying. Up Next Curl Cleansing Conditioner ($34 for 8.5 fl.oz/ 250 ml) is a no-lather, one-step shampoo and conditioner infused with natural tea tree oil which gently cleanses and conditions hair while nourishing the curls. It’s perfect for those who have oily hair and I believe washing hair every day is not ideal for keeping hair healthy, where this Moroccanoil® Curl Cleansing Conditioner effectively cleanse and detangles the curly hair plus it intensely conditions the hair for a soft and smooth looking curls. I personally don’t use dry shampoos just mainly because I carry a very dry hair. How to: Rub quarter-sized amount between palms. Thoroughly work into wet hair and scalp. If desired, let absorb for 5 minutes. Rinse out, continuing to massage. 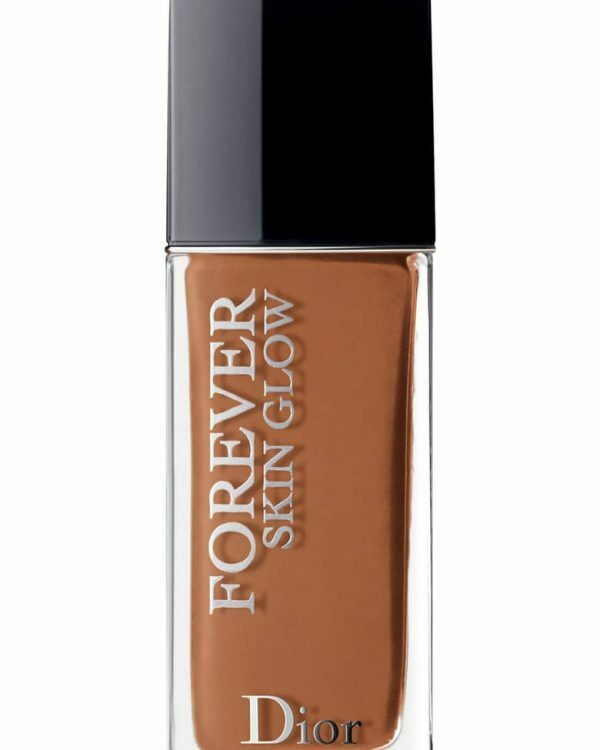 Intense Curling Cream ($38 for 10.2 fl. az. / 300 ml) is a leave-in conditioner that keeps the hair’s moisture. 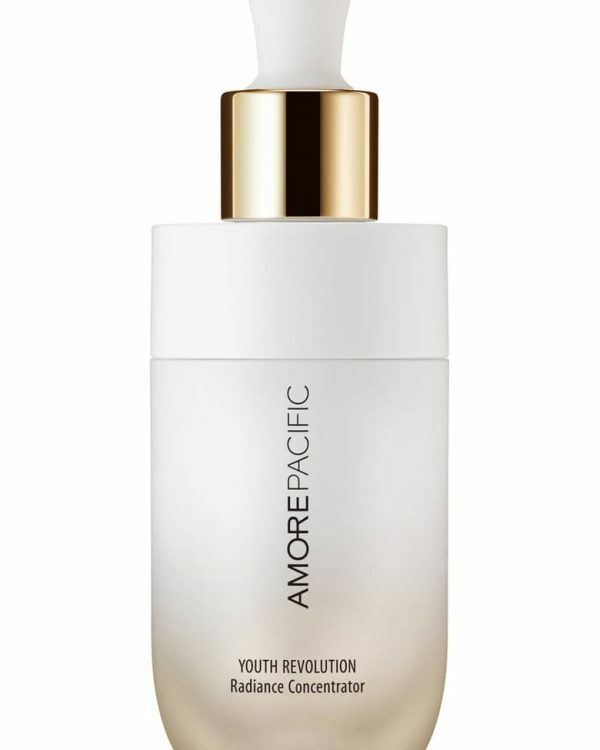 it’s infused with argan oil and vitamins that keeps the waves and curls well hydrated. 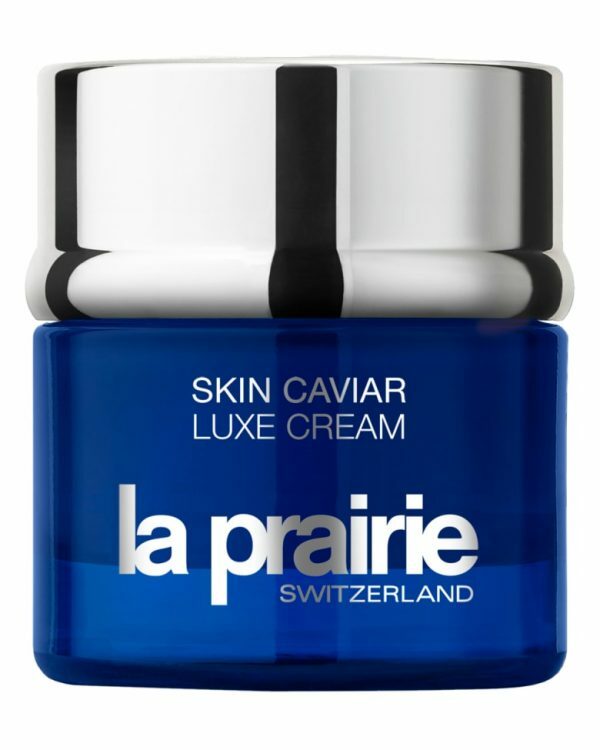 I find this to be very rich so a little goes a long way and I would recommend to only apply starting from the mid section of the hair toward ends. It naturally keeps the curls looking shiny and refreshed though out the day. How to: Apply one pump (or more, depending on hair length and texture) of Moroccanoil® Intense Curl Cream throughout damp or dry strands. Style as usual, or let hair dry naturally. Curl Defining Cream ($35 for 8.5 fl. oz. / 250 ml) is a light weight hair cream which easily defines curls while locking the hydration into the hair. it is infused with curl definer features an advanced heat-activated technology which keeps the curls frizz free and creates a natural looking curls. This is one of my most favorite styling creams by far, it’s non-sticky where defines the curls naturally without looking greasy at all. Curl Control Mouse ($24 for 5.1 fl. oz. 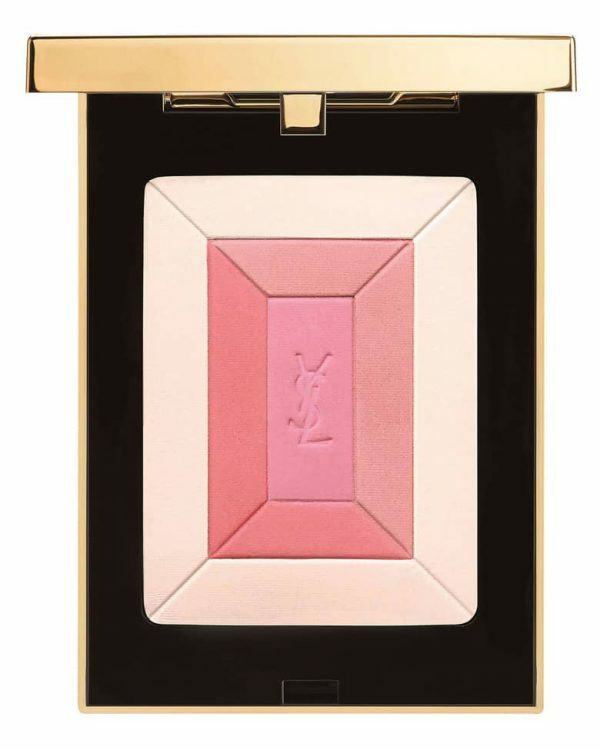 / 150 ml) lightweight hair mouse formulated with argan oil which created soft, smooth curls. 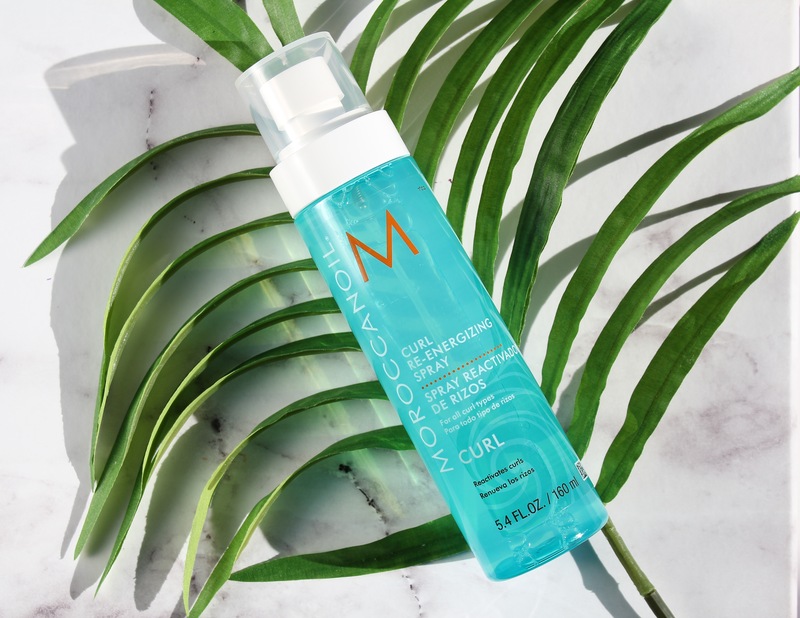 I believe this one is perfect for those with tightly-spiraled curls, the Moroccanoil® Curl Control Mousse defines the curls and holds the curls beautifully for hours preventing frizzy hair through out the day. 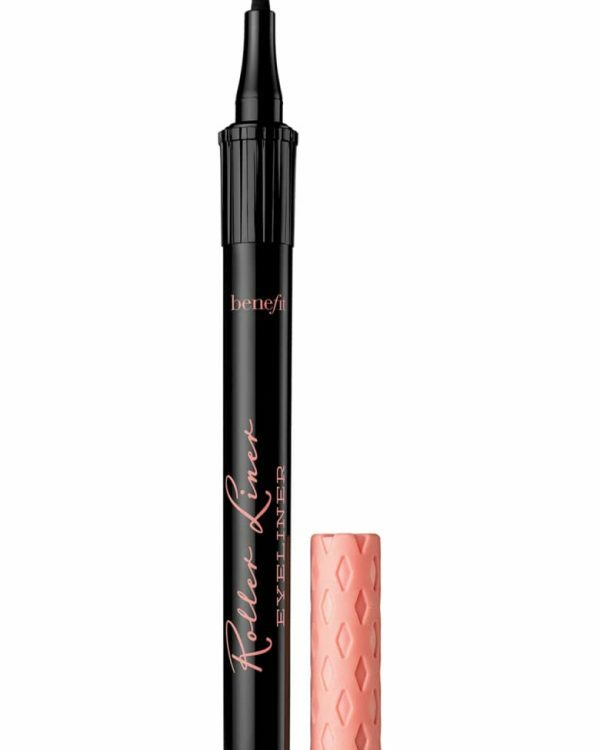 I loved how it carries a very light texture and non-sticky yet strong enough to hold the curls all day long. How to: Apply a generous amount of Moroccanoil® Curl Control Mousse to clean, towel-dried hair. For best results, gently crunch hair with hands from ends, lifting toward the roots, and allow hair to dry naturally. Last but not least Curl Re-energizing Spray ($28 for 5.4 fl. oz. / 160 ml) is a curl refresher spray which is infused with nourishing argan oil, green tea and aloe leaf juice which puts bounce and vitality back into your style, whenever and where ever curls are in need of a boost. I loved how it refreshes the look of the tired and crunched curls the next morning and through out the day. It brings back the shape of the curls and plus gets rid of the frizz at the same time. 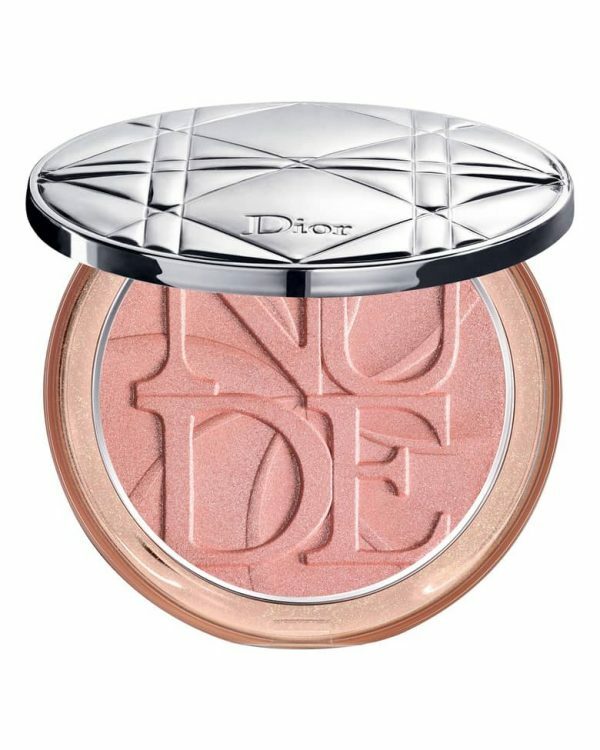 You can carry it with you in your car or in office drawer for refreshed look in a minute. Bottom line I have been loving the Moroccanoil® Curling Products over all, especially a huge thumbs up to Curl Re-energizing Spray and Curl Defining Cream for giving the hair a fresh look in minutes, the only thing that I’m still debating is the shampoo & conditioner for oily hair. 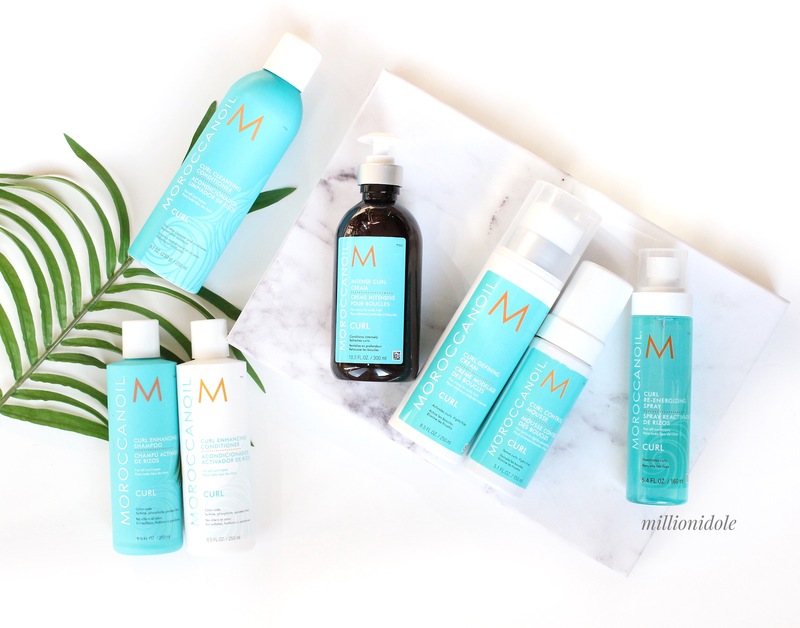 I find it was perfect for keeping my hair down but I know lots of ladies with oily hair wants more volume – this would be something that you guys have to experiment personally but if you’re some one like me with lots of volume you will love it. Curl Collection Hair care products provided courtesy of Moroccanoil® for editorial purposes.